Holiday in South America: What is Boutique Travel? If you want to avoid the cookie-cutter South America travel experience, the ideal alternative is to go for boutique travel. “Boutique” is a term that is oft-used in the tourism industry these days, but what does boutique travel mean? As opposed to the usual run-of-the-mill group travel deals, it involves an intimate, customised, and eclectic holiday package that is centred on you as the traveller. This is a far cry from travel by backpack, of course. Backpacking may be personalised and eclectic as well, but it doesn’t offer the same level of sophistication, comfort, and safety that boutique travel does. If you want a chic and you-focused holiday, boutique-style travel is the way to go. It goes well above and beyond the usual travel expectations, leaving you feeling satisfied. What features typically characterise boutique travel? To ensure that your trip truly satisfies, you yourself need to dictate every aspect of your travel, from transportation to accommodations, to itinerary, etc. Boutique travel specialists will work with you to come up with a package that is designed around your tastes and desires, and they will make it happen. For instance, if you want to focus your trip on coastal areas with a special emphasis on lighthouses, you can do just that. You are only limited by your imagination and your budget. There doesn’t have to be an existing tour package for you to have the experience you’re really after and you aren’t forced to travel with group of others and visit places you have no interest in as you have the power to design your dream holiday. The boutique traveller is typically happier in more intimate lodgings where the staff can easily get to know the guests and become familiar with their preferences, allowing for better, personalised service. 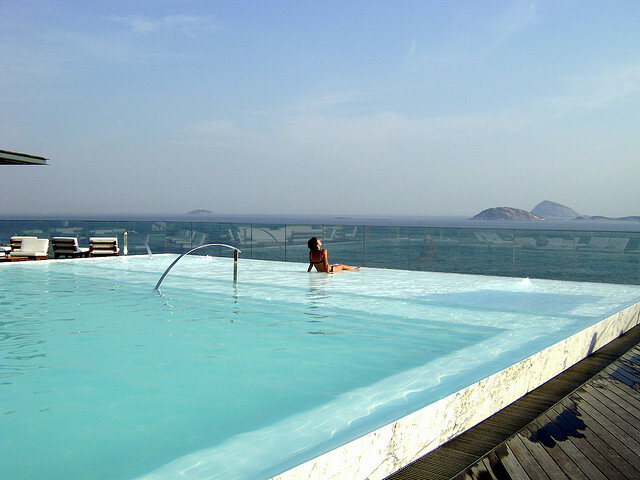 Big hotel chains in South America will not be the choice for these travellers. You want the staff to be able to put a name to your face, so smaller yet no less stylish hotels are the ideal setting for your boutique vacation. 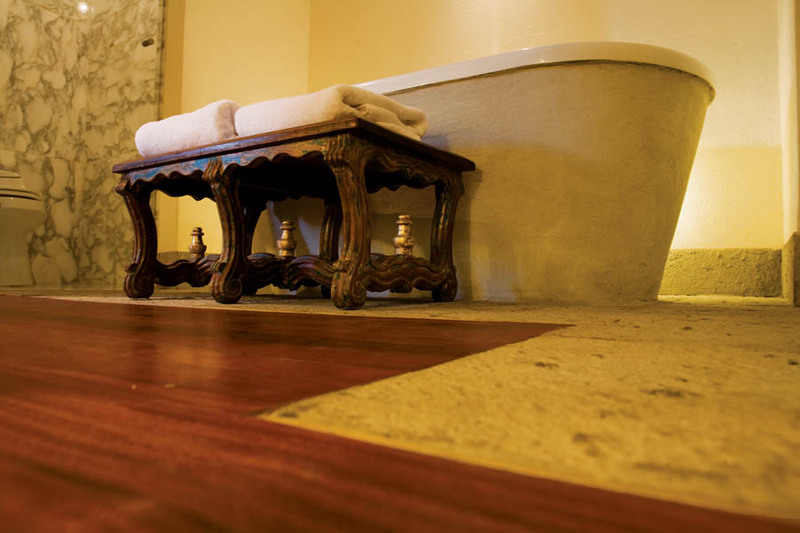 Exquisite bathroom details from La Casona Inkaterra boutique hotel. 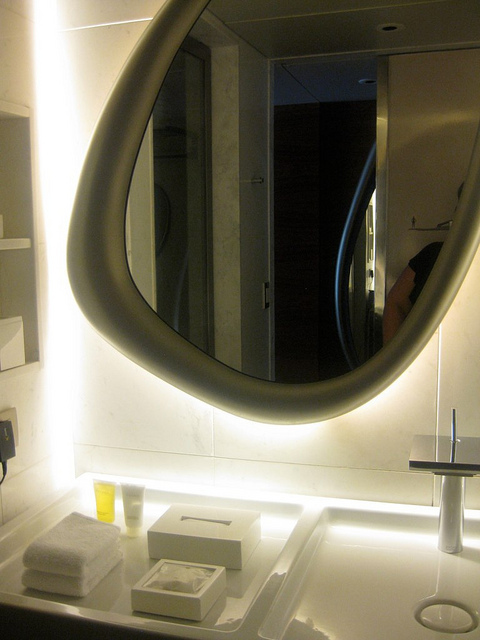 Design and style is important for a boutique hotel as this can add to your overall travel experience. 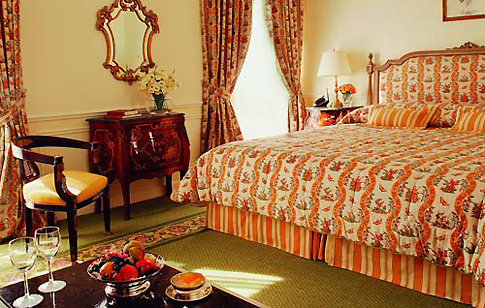 Your bespoke itinerary could feature refurbished mansions inspired with furnishings or decorations of their locality, and with many centuries of history and culture, this can range from traditional opulence (think the Alvear Palace in Buenos Aires,) refurbished monasteries set in Inca buildings (such as La Casona Inkaterra or Palacio Nazarenas in Cuzco) or even modern minimalist themed concept hotels (like the Fasano Hotel in Rio de Janeiro.) Each of these hotels and their rooms can tell a story about each city you stay in from a particular era or even infuse modern comfort and simplicity with details of the past. A much enhanced possibility for your holiday in South America compared to staying in identical chain hotels rooms that look the same in every corner of the world. You can put together an amazing itinerary specifically tailored to suit your tastes, but without the knowledge and insight of someone local, you could end up wasting time and effort. A local guide will make sure that your activities are safe and worthwhile, and a local driver will get you to your destination and back without the usual hassles of getting lost or stuck in heavy traffic areas. Touring around with a local will also enhance the cultural experience as well as guarantee answers for your curious questions. Have you ever been on a bespoke trip so specifically suited to your personality and preferences? What does boutique travel mean for you? Share your thoughts in the comments below.